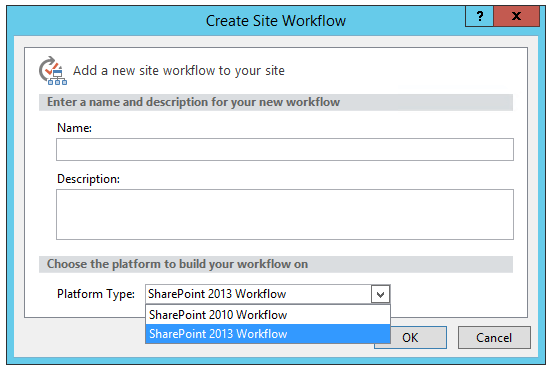 In this article, you will learn how to enable SharePoint 2013 Workflow option in SharePoint Designer 2013. 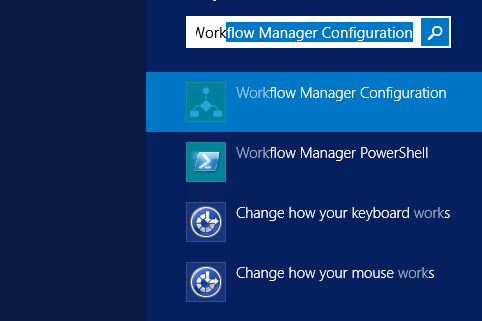 After the installation of SharePoint Server 2013 and Designer 2013, we have to configure the Workflow Manager 1.0 in order to use the SharePoint 2013 Workflow in Designer 2013. 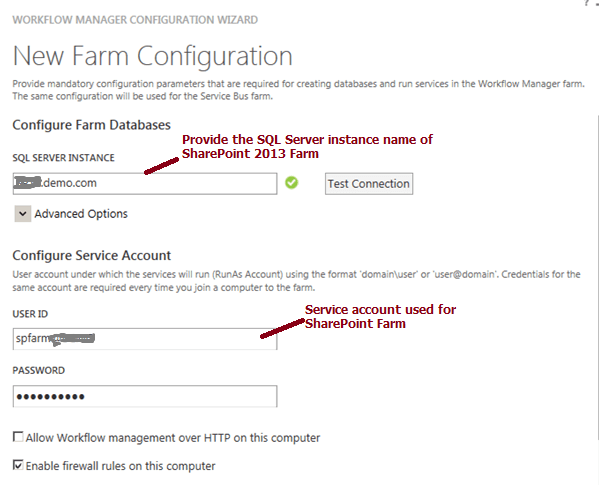 If not, only "SharePoint 2010 workflow" will be available in the SharePoint Designer 2013. 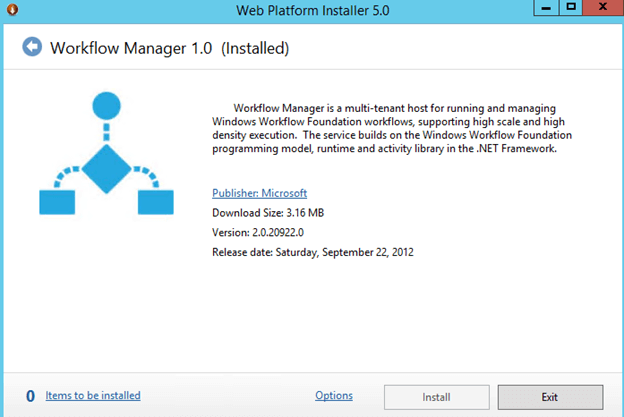 Step 1 - Download the Workflow Manager 1.0 from Microsoft site. 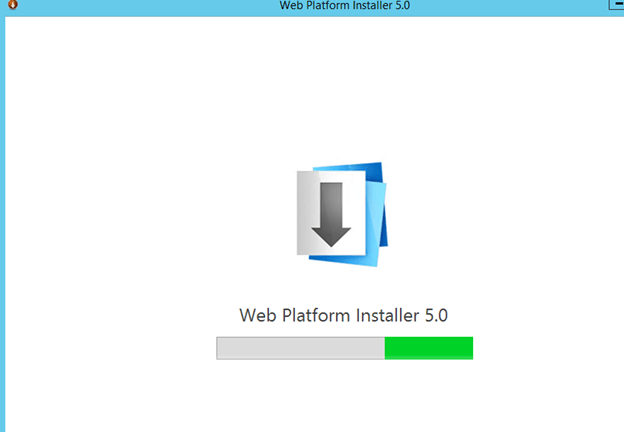 Run the installation file, as shown below. 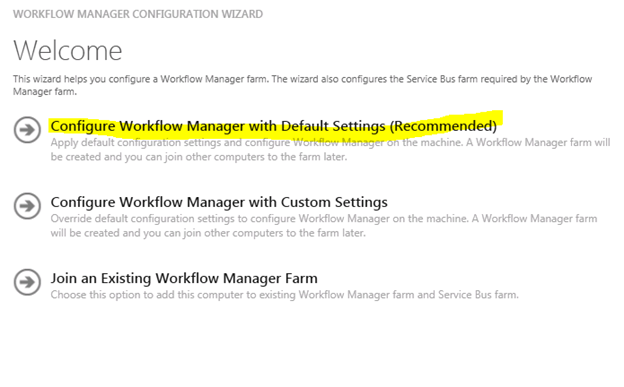 Step 2 - Now, you need to find the "Workflow Manager Configuration" from the list of applications. Use the Windows Search to find it. 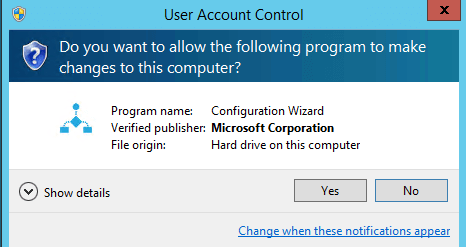 Select the recommended option from the below wizard. 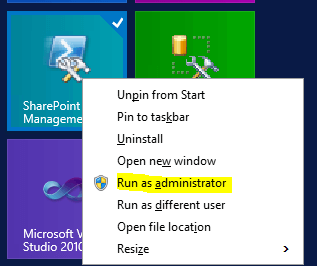 Run SharePoint 2013 Management Shell as administrator. First things first! You need an Issuer ID. Use the below PowerShell cmdlets to get one. Remember to make note of this, as we will use it later. An important point, it has to be lowercase only. 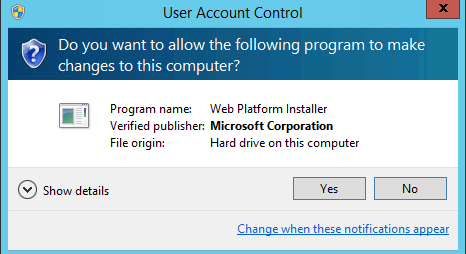 Paste the new Guid in the Certificate Generation Key. Step 3 - Click Next to proceed. You will see the below screen. If there is anything missing, it will highlight that parameter in red. In our case, we have provided all the details. Click "Tick" mark to proceed further. 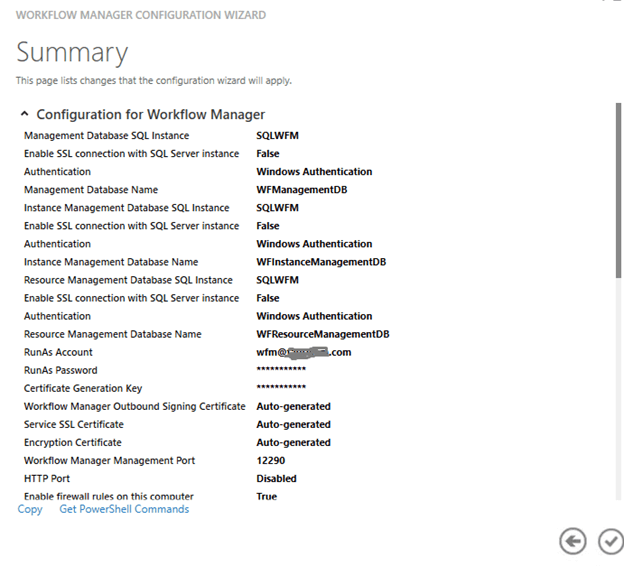 Finally, you will see the configuration process completed, as shown below. 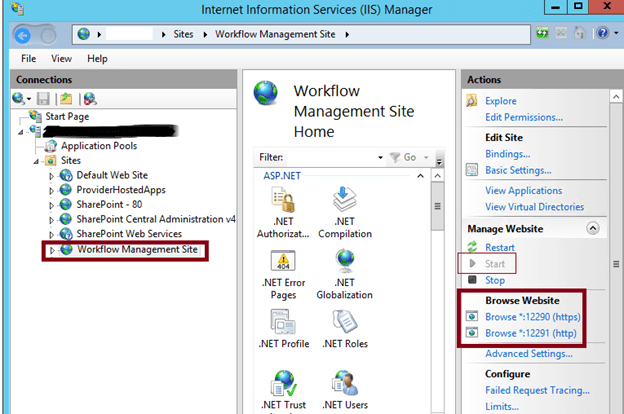 Step 4 - After the configuration is completed, go to IIS Manager and check for "Workflow Management Site". It should be up and running. 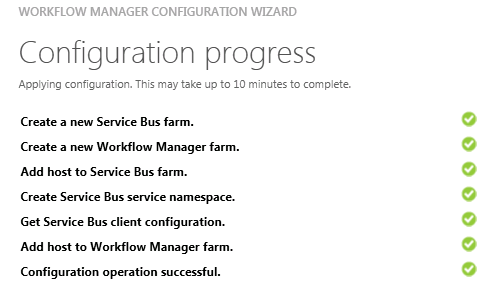 Also, go to "Central Admin" and check whether the "Work Management Service" is started. 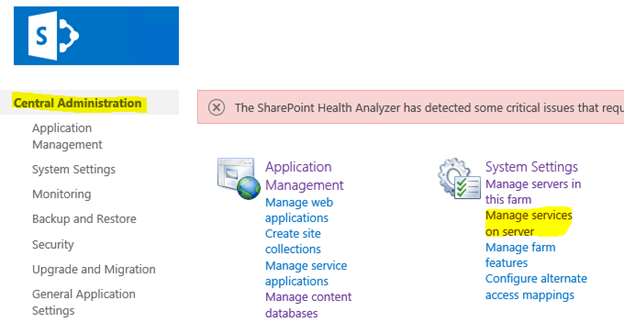 Step 5 - The final step is to open the "SharePoint 2013 Management Shell" in Administrator mode. 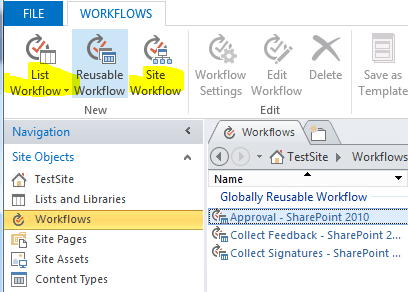 Now, you should be able to see the "SharePoint 2013 Workflow" in SharePoint Designer 2013.